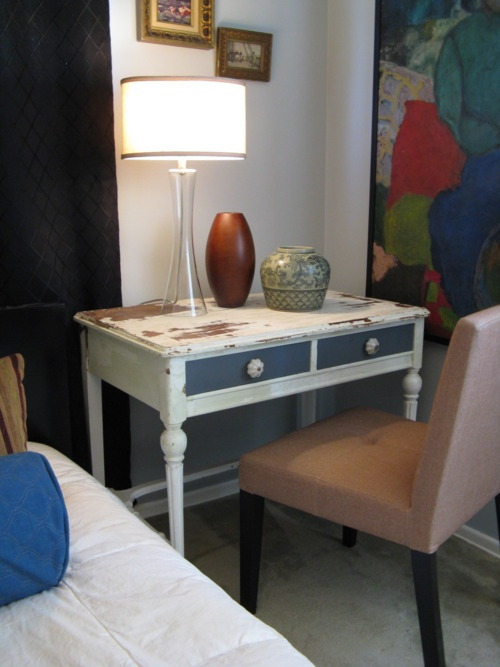 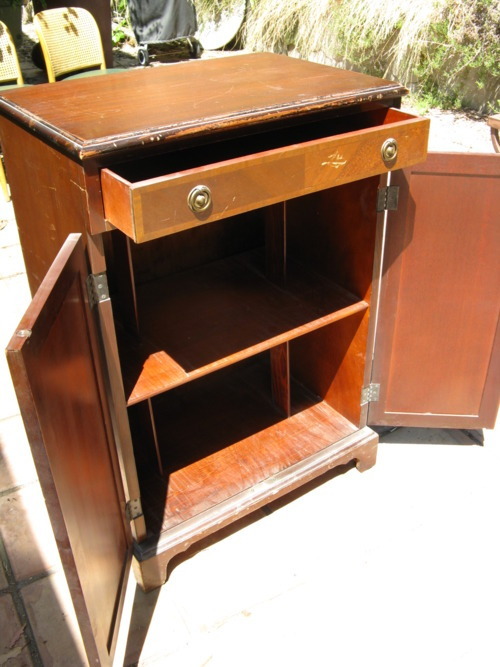 epurposing furniture, lamps and home decor is a great way to be environmentally conscious. 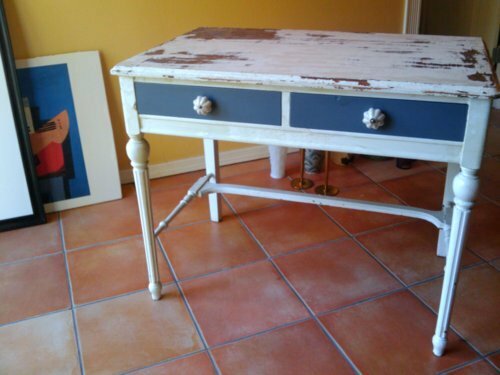 So, next time you see a shabby, beat up table on the side of the road or spy a curvy lamp at a thrift store that’s just screaming out to be chartreuse, take it home and give it new life. 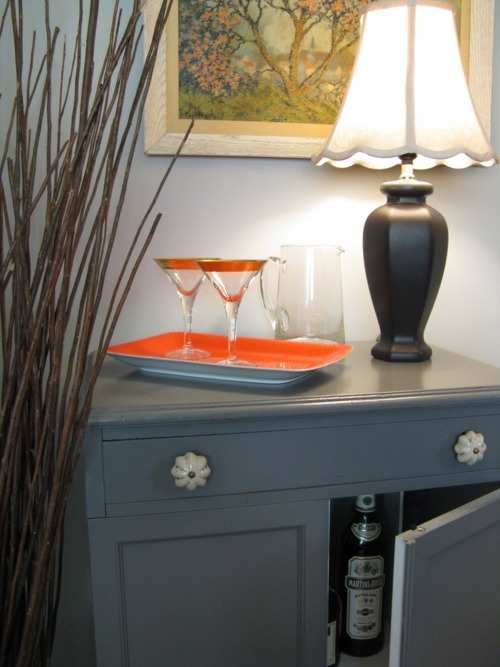 The vanity table/desk was a $12 find, and all I had to do was spiff up the drawers with a coat of gray paint and replace the hardware with cute vintage-style knobs from Cost Plus. 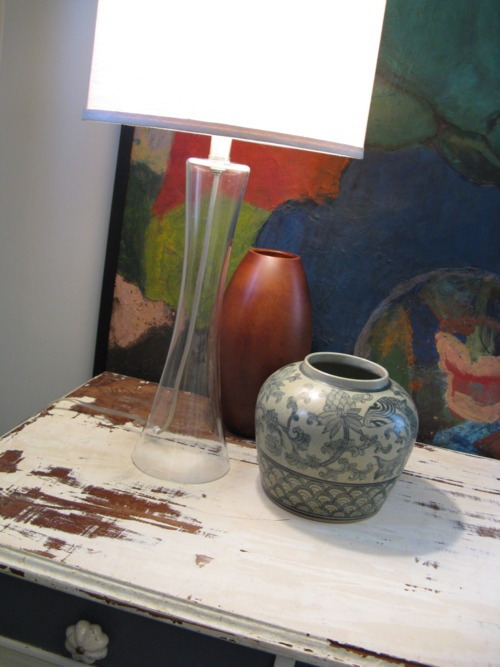 I left the partially stripped paint on the top and sides exactly the way I found it, and paired it with a sleek glass lamp, a vintage oil painting, Chinese pottery and a modern vase. 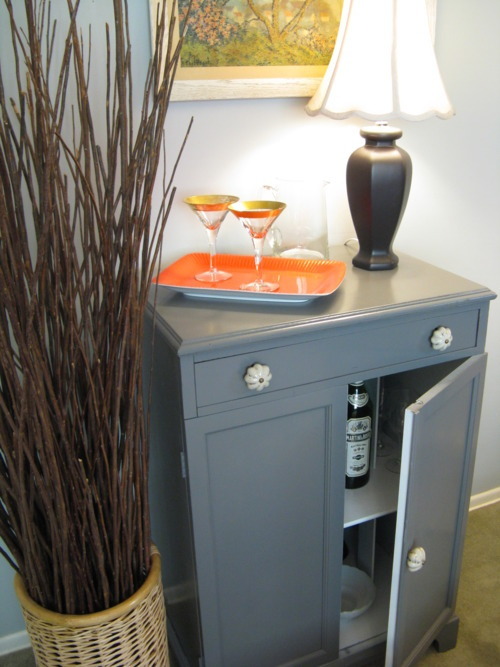 The plain wooden cabinet (which was free) in the before photo got treated to a few coats of gray satin finish paint, topped off with the same knobs as the vanity/desk, and voila, a swanky little bar… Anthropologie, eat your heart out!